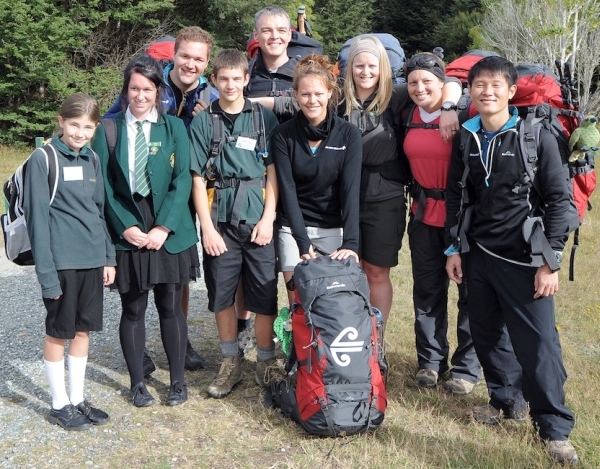 Ranger Cate Helm (star of this Air New Zealand safety video) writes about her adventure along the Kepler Track with the Air New Zealand Great Walkers. Our first day got off to a great start with a welcome and haka performed by the local school as we entered Fiordland National Park for the first time. It was a moving and exciting beginning for the four Great Walkers who were about to undertake New Zealand’s nine Great Walks in nine weeks. We were joined by three local school students, who walked with us through to Broad Bay telling us about the work they are undertaking to help restore native bird life as part of the ‘Kids Restore the Kepler‘ programme. They were truly inspiring and just what our Great Walkers needed for the next part of their journey – an 800 metre climb to Luxmore Hut (just a small ask for their very first tramp). It was worth every gruelling step. 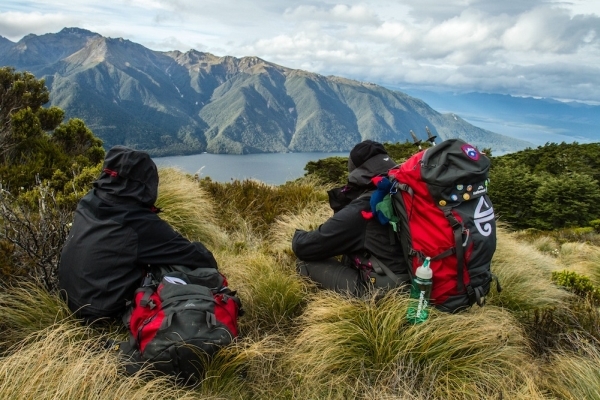 As you emerge from the bushline, the view from Luxmore Hut (1085 metres), overlooking Lake Te Anau and the mighty Murchison Mountains (where the last of the wild takahe population roam) will leave you truly speechless. Just when the team thought things couldn’t get any better the Luxmore Hut Ranger, Fay, took us on a personalised ‘Caving Expedition’ to the local limestone caves, a great remnant of geological activity. The group was awestruck by the raw untouched beauty. The following day we left Luxmore and headed for Iris Burn. 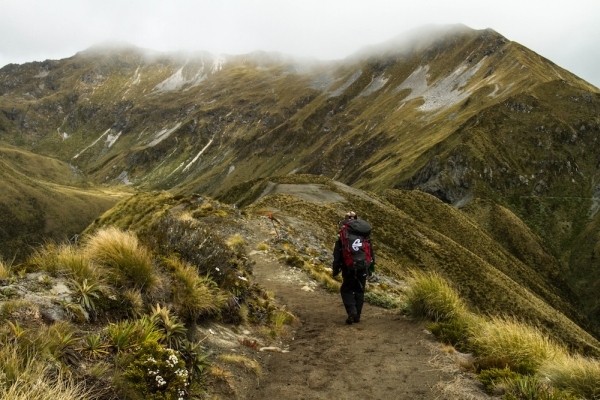 This leg, over steep rugged alpine terrain, offers one of the best day’s tramping in New Zealand. The eye is kept entertained at every turn with flowering alpine plant life, ever changing rock formations (including evidence of the last ice age and glacial activity), and all day views across mountain ranges. At Motorau Hut in the Iris Burn Valley we were joined by Ranger Leigh and Ranger Kay who gave a presentation on New Zealand’s only two native mammals, the elusive and unique endangered long-tailed and short-tailed bats. We took an excursion in the dark hours with bat monitors to see if we could pick them up as they flew by. We also kept an eye out for the equally unique and endangered Fiordland tokoeka kiwi. Chilling out with Steph the Great Walker, look at that view! 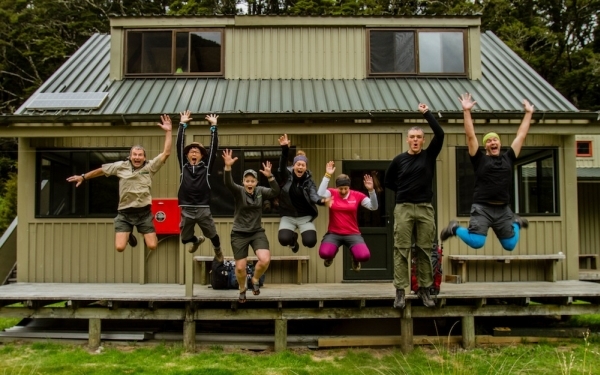 All in all, the Kepler Track offered a little of everything for our four Great Walkers, and it is safe to say they were truly blown away by the views, wildlife encounters, conservation management and hut systems! Head to the Great Walker website for more information and to follow the Great Walkers on their blog and see more stunning photos and video from their journey. Head to the DOC website to book your own Great Walks adventure.